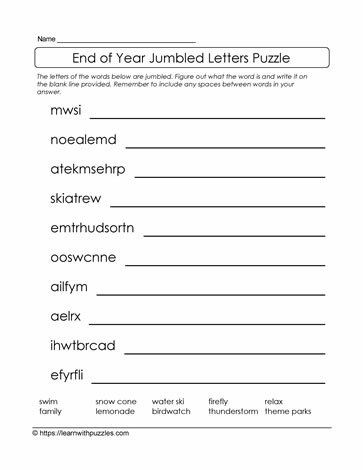 Unjumble the scrambled letters for this end of school year puzzle. Puzzle supports brain health and this jumbled letters puzzle keeps kids engaged while the school year winds down. Have kids challenge each other to see who can be the first to solve the puzzle.